Lined with beautiful trees and rich with history unique to the East Cooper area, Brickyard Plantation is one neighborhood that keeps homeowners happy for generations. Once considered on the "outskirts" of Mount Pleasant, this community of friendly residents is now perfectly placed in the center of town, with proximity to more restaurants, local businesses and paths to the shoreline than ever before. Unlike the newer developments, Brickyard Plantation has an interesting back story – it actually was a brickyard, responsible for making many of the bricks that became structures around Mount Pleasant and greater Charleston, including Boone Hall Plantation. Legend even has it that a ghost haunts the very back of the community where the ruins of an old brick kiln is located. While not all Brickyard residents have seen the spirit, or believe in such things, they certainly share pride in a place that helped build the Lowcountry. Modern families enjoy the variety of amenities that Brickyard has to offer, according to Brickyard Plantation Realtor and expert Amy Templeton. A resident of the community herself since 2002, Templeton emphasized how folks rarely leave for other neighborhoods. Even the tennis instructor has been helping locals perfect their serve since the 1990s. "We have five lighted tennis courts and a swim team for the kids," she commented. 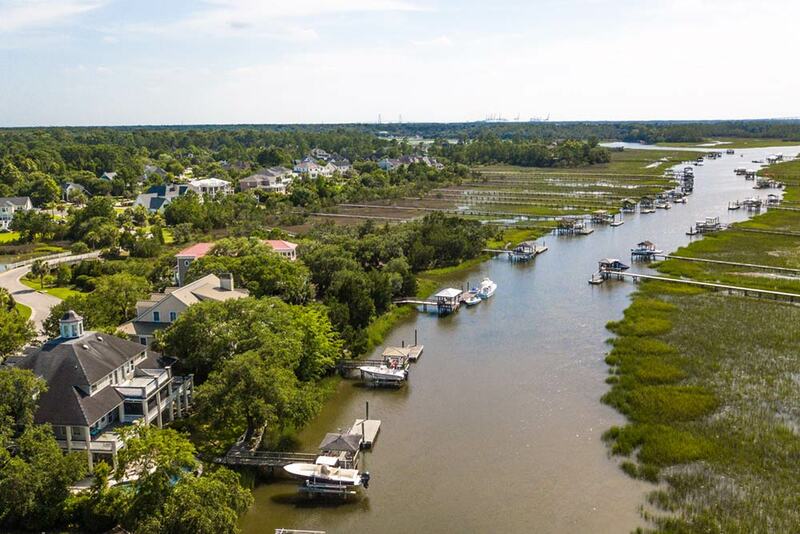 "Boaters love Brickyard because of the water access on Horlbeck Creek and the storage, which is secure and less expensive than many other neighborhoods that offer boat storage." Michael Clifton, another enthusiastic resident, bought a home in Brickyard back in 2000 and, aside from a brief two-year relocation to another North Mount Pleasant neighborhood, has enjoyed the atmosphere ever since. "We missed the community and amenities during that two years away," he said. "We love being in an established neighborhood in the center of Mount Pleasant; we just bought our third house here two years ago." Templeton and Clifton agreed that having their kids grow up together in an idyllic setting like Brickyard has been a big plus. Long bike rides and walks on the picturesque streets are perhaps the biggest draw to the area, as well as a "family atmosphere that is hard to find nowadays," according to Clifton. When it comes time to leave the neighborhood for dinner on the town or a day at the beach, everything is close by. For families with younger children, award-winning schools like Jennie Moore and Laing are a hop and a skip away. "At the front of the community are great local businesses, everything from food to places to work out," Templeton said. "My family does a lot of biking to these places, as well as to the beach, which is just 2-and-a-half miles away." "When we first moved to Brickyard Plantation, it was considered 'way out there,'" Clifton added. "Now, with the growth of Mount Pleasant, we're right in the heart of things." 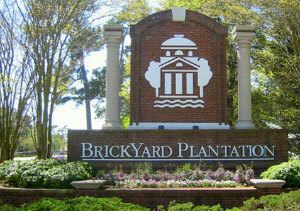 Want to learn more about Brickyard Plantation? Visit www.brickyardhomes.com, call Amy Templeton at 843- 425-4100 or email her at atempleton@carolinaone.com.